As we end the month of October, that has for over the last three decades been deemed Breast Cancer Awareness Month; where all over you see both men and women wearing pink to bring attention to an illness that the National Institute of Health National Cancer Center estimates in the U.S. there will be 252,000 new cases of female breast cancer diagnosed this year in addition to 40,000 who will die from breast cancer in 2017. While accounting for only 15 percent of all new cancer diagnosed annually; breast cancer is the most commonly diagnosed cancer among Black women, where 30,700 new cases diagnosed in 2016. Over the years rates have stabilized among White women but continued to increase in Black women. The continued increase in incidence rates in Black women may in part reflect the rising prevalence of obesity and other risk factors among Black women. The overall 5-year relative survival rate for breast cancer diagnosed in 2005-2011 was 80% for Black women compared to 91% for White women. This difference can be attributed to both later stage at detection and poorer stage-specific survival among Black women. Only about half (52%) of breast cancers in Black women are diagnosed at a local stage, compared to 63% in White women. All women can help reduce their risk of breast cancer by avoiding weight gain and obesity (for postmenopausal breast cancer), engaging in regular physical activity, and minimizing alcohol intake. In addition, recent research indicates that long-term, heavy smoking may also increase breast cancer risk, particularly among women who start smoking before their first pregnancy. Under the present administration of President Donald Trump, we are witnessing attempts to overturn the Affordable Care Act (ACA) also known as Obamacare. If they are successful this may have a dramatic impact on women health services. Especially, in the area of services for breast cancer that was very expensive before then President Obama signed the ACA into law in 2010. With Obamacare, mammograms are fully covered by health insurance. According to a recent study, eliminating cost-sharing for mammograms has significantly improved compliance with recommended screening guidelines among all socio-economic groups. Since Obamacare with more access to testing even among poorer and less educated women who historically have had low rates of screening it has improved early detection and treatment of breast cancer. Obamacare also provides free genetic counseling and Breast Cancer Gene Testing (BRCA) for those who qualify. These tests are essential and help identify gene mutations that put women at high risk for breast and ovarian cancer. Without these subsidies, these services would be unaffordable and out of the reach of many women, where early detection may help prolong their lives. 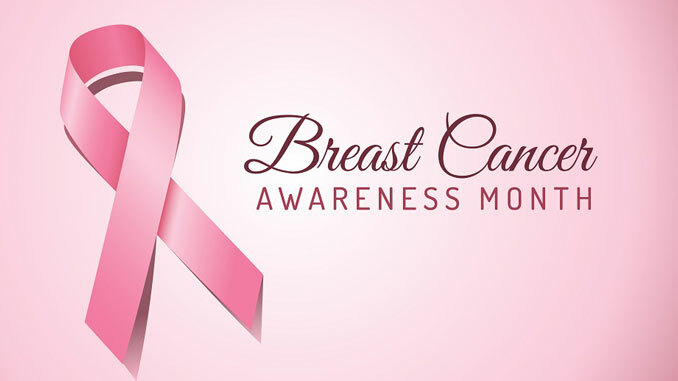 The benefits of women receiving mammograms and genetic testing is essential in helping women who are diagnosed with breast cancer receive the best possible care from the start. It also provides important opportunities for conversations between health care practitioners and patients on ways to reduce breast cancer risks; something that was not always the case before Obamacare. Prior to the Affordable Care Act (ACA), there were caps on how much an insurance plan would spend on a person’s health care over there lifetime. And when one gets diagnosed with Breast cancer it can create a hardship for patients and their families because treatments are extremely expensive and these limits on lifetime coverage can lead to either bankruptcy brought about by the huge bills they’d have to cover themselves or forgoing the treatment they need because it was unaffordable. Since the inception of Obamacare, it’s changed that by banning lifetime limits on coverage; this applies to all health insurance plans, not only those purchased on the public exchange. If lifetime limits were to be reinstated, they could again devastate individuals and their families. One of the most crucial provisions breast cancer patients gained with Obamacare is that insurance companies could no longer deny coverage or charge patients more because of them having a pre-existing condition. Before Obamacare, insurers could refuse to pay for treatments related to pre-existing conditions, deny coverage altogether or charge a higher price for that coverage. In a nation that is part of the developed and modern world to deny services that could prolong someone’s life is inhumane. As President Trump and with both houses of Congress controlled by Republicans, the future of Obamacare is uncertain. But if it is repealed there may be impacts that pose an imminent threat to the health of women across the nation. Those who are concerned about having a healthcare system that is effective, efficient and compassionate and true to the statement “Do no harm” in the Hippocratic Oath that all doctors take. It is Obamacare that’s has brought us a step closer to this by providing every woman access to the medical care they need. And is something worth fighting for, because many of the changes have saved the lives of many and helped in the fight against breast cancer.